My goal is to capture the true and unique spirit of your dog. I specialize in action shots, lifestyle, and portraits as well as fun themed sessions such as PAWternity, birthday, newborn, etc. I also offer a special package for our beloved senior dogs. Your portrait session will be customized to your vision. My photography style is natural and pure. A fun and relaxed atmosphere allows me to capture the most beautiful photographs of your dog. With many years of experience working with dogs and with some of the best trainers out there, I make the session enjoyable for your dog. I use treats, clickers and interactive toys to capture your dog’s true spirit. I believe the best portraits express true emotion, unique character, and the bond between you and your dog…a heartfelt portrayal of your fur family and all that you treasure as you walk along this journey. From paws up action shots to sentimental portraits, this fun and creative, on location session offers it all and is sure to capture the unique spirit of your dog. Themed sessions are also offered with this package. This is a special session for pets that have limited time left with us due to illness or age. Saying goodbye to a beloved fur family member is one of the most difficult things a pet owner will face. Having beautiful photographs of you and your senior dog can help you through this difficult time as well as warm the heart for years to come. For this session, I recommend a quiet, safe environment like your home or yard. I also encourage the owner to be in the photos so we can capture the loving bond between the dog and their human. Puppies change and grow so quickly, from their eyes, to their fur, to their personality and expressions. With this package, you will have 3 mini-sessions (each about 30-45 minutes each) at different stages during their first year. Let me help you craft your brand or business with commercial pet photography. This type of photography is perfect for marketing/ commercial purposes in a powerful and unique way. Please contact me for custom pricing. 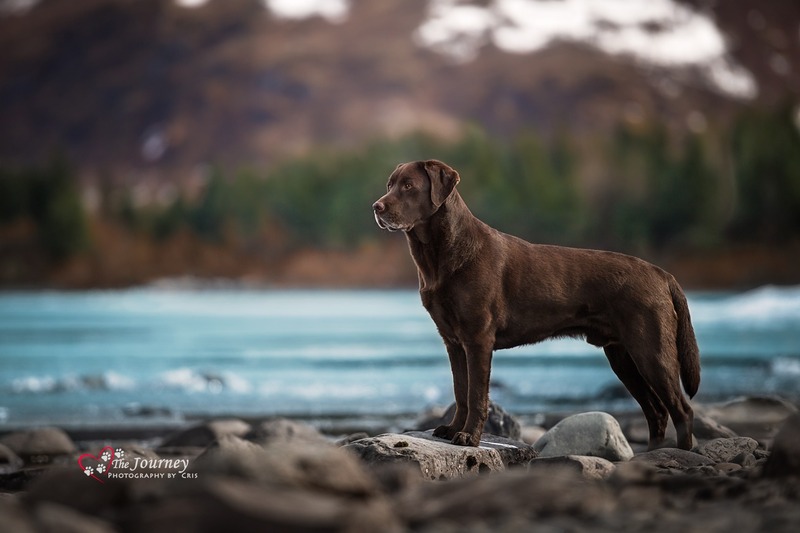 From other pet lovers who chose Alaska Pet Photography, Commercial Pet Photography, and Dog Photography. Cris did a wonderful job with our indoor photo shoot. It was a challenge to work inside with an energetic pup, and she was very patient and accommodating for all of my ideas. The results were wonderful? These are still my favorite shots of Lacy. I highly recommend Cris Skinner and The Journey Photos. She’s an amazing photographer, patient and easygoing when working with clients. Cris did a photo shoot of my eight-week-old labrador puppies and they turned out AMAZING! She was so creative with the angles and lighting… I couldn’t have asked for better pictures of my babies! Cris was such a professional to work with! She took the most amazing photos of our 3 German Shepherds. Not to mention the stunning engagement shots she got for our son and his fiancé. Such a blast to work with! !